Sorely missed and the ABB extends sympathies to Jane, daughter Hermione and her family. David was active at trials in the securing of land, organising and judging all stakes. Among other contributions, David is remembered for his epic organisation of the ABB Centenary Trials held at the same venue as the first ABB trials one hundred years earlier, 1898, based at Ravenscar, North Yorkshire. For the occasion David organised a gathering in traditional costume at Brough’s old kennels; ‘Wyndgate’ Scalby. 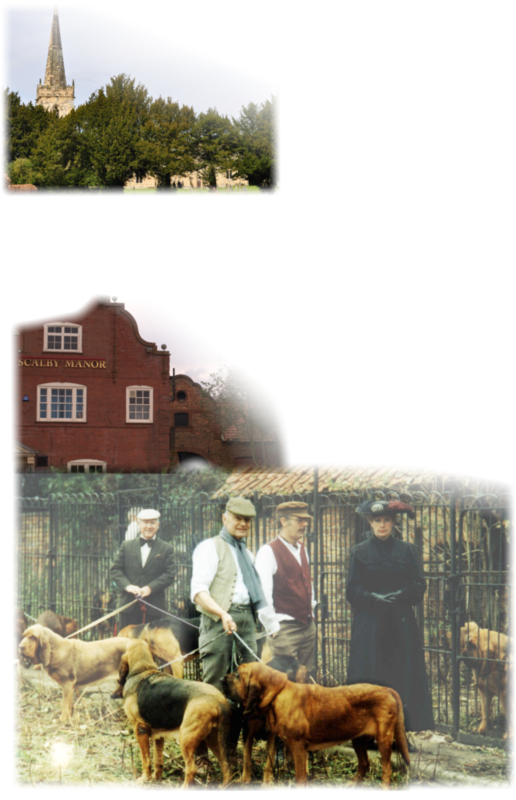 David had handled Cammonstone Bloodhounds at trials from the early seventies, including Ch. Tarakun Trinket in Senior 1975, through to Ch. Ballamourn Banner in the noughties. After enjoying the ABB Spring trials, David Crease died suddenly. A memorial service was held on 16th April at at St Peter’s Church, near his home in North Yorkshire where friends and colleagues celebrated David’s early life, architectural achievements, political campaigning and active retirement.